A rare early demo of David Bowie's 'Starman' is set to go up for auction. 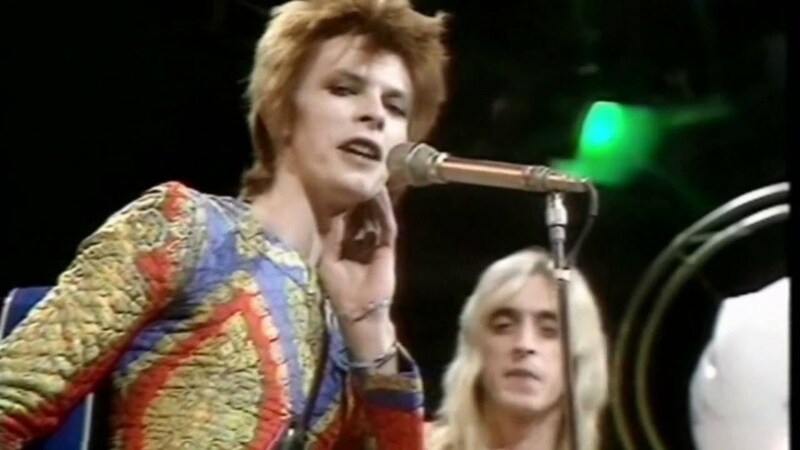 The track helped spark the Ziggy Stardust phenomenon, with the single release being accompanied by an instantly-iconic Top Of The Pops performance. Bowie recorded a demo version of 'Starman' for use by the Spiders From Mars, handing the tape to guitarist Mark Ronson. When the guitarist was finished with it he sent it to his friend Kevin Hutchinson, who wanted to learn the song. Now the reel to reel tape has been unearthed, and will be sold at auction today (March 11th) at Merseyside’s Omega Auctions, where it is expected to sell for over £10,000. Kevin Hutchison recalls of its discovery: "I found it and got my old tape recorder out of the loft as well and threaded the tape into the machine. We couldn’t believe it when we heard it. It’s superb." "You can tell that Mick has never heard the song before because at the end he is just about to turn the tape recorder off and Bowie says: ‘Hang on. There’s a little bit more...'"
Check out a clip from the demo below.